Vistal Golf Club, a golf course is located in south of Phoenix, in Arizona. It is heavily focused on mid-range customers with stress on word of mouth and repeat business. The club is extremely active within the local community, along with Special Olympics of Arizona. The golf course provides superb playing conditions in the desert, sited at the South Mountain base looking over the entire Phoenix valley. We designed their website to showcase the natural beauty of the desert. We also added some technological bells and whistles like online tee time registration, aerial flyovers, and golf shop showcases. 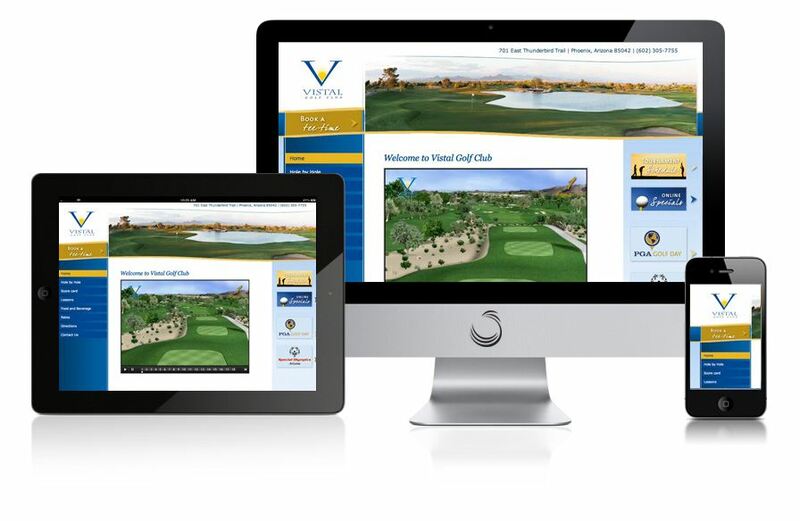 Golf course websites generally need to remain very dynamic in order to continually provide updated and accurate information. Many sites provide tee time registrations, lesson calendars, event listings, tournament pages, photographs, and membership pages. With the Vistal Golf Club website, the panoramic photos of each of the holes offers guests a preview of how beautiful the course layout is.